Want to split a M4V file into several parts without re-coding it? Searched around a long time and still can’t find a definite solution to cut M4V files? If so, you’ve come to the right place. This tutorial mainly focuses on how to split M4V files into clips using a very simple method. That is, to use a smart M4V splitter -Wondershare Filmora Video Editor. Extract any segment of M4V video into a single file. Cut M4V video without any quality loss. Add transitions, filters, Jump Cut or Face off to improve your video. Save your M4V file in different formats, burn to DVD or directly upload online. There are two alternative ways for you to import the local M4V files to the album of this M4V cutter. One is to hit "Import" button to load M4V files; the other is to drag M4V files to the album instead. Next, you need to drag the just-imported M4V files from the album to the Timeline at the bottom of this app. 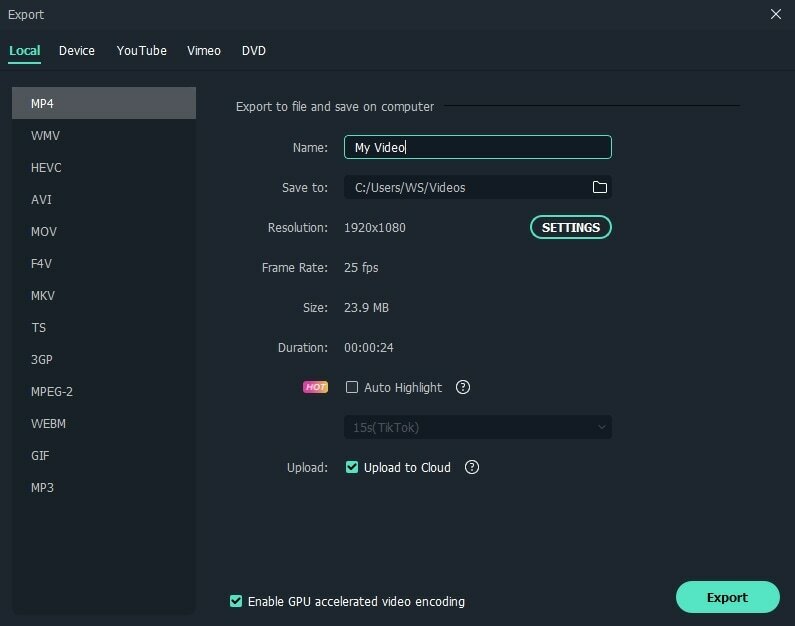 Just delete your unsatisfied M4V clips by right clicking it -> “Delete” option. After you cut a big M4V file into several smaller clips, you need to save the project as it’s mentioned above. Then, select one clip and delete all other ones. Next, export the single clip by following the step 3. To export each clip into a single file, you just need to import the saved project again and again, and export each clip in the same way. Click the "Create" button and then hit the "Format" tab in the popping-up window. If you want to play the output files on devices like iPod, here, you can directly select an optimized format as the output format. Just hit the “Device” tab instead and then find what you want here. You can also burn the new M4V video to DVD or upload on Facebook and YouTube. 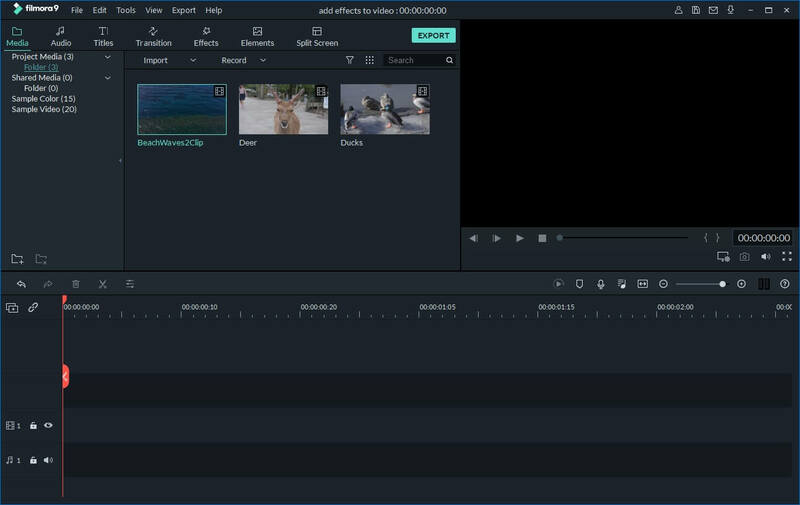 Besides splitting m4v files, you can also edit your video footage with the basic and advanced features in Filmora. Watch the video below to check more ideas about what Filmora can do for you.